Singular vampires are so many terrible things. Why should it be any different when many vampires get together? It isn't. In fact, it's exponentially worse. Kindred are designed to be solitary predators. Why they gather in such large groups is a complicated issue. Are they lonely? Do they need to keep enemies within arms' reach? Do they need to understand the other creatures that inhabit their homes? Do they believe in safety in numbers? This book specifically addresses how to build an interaction. It's how to host a party, how to make a location and how to make a social structure. A chronicle book for Vampire: The Requiem. A handful of fully fleshed social hotspots you can plug into or adapt your chronicle. Play variants and tweaks, Merits, Devotions and other character items built around Kindred social gatherings. A handful of plug-and-play scenes in the SAS format. Options for a social combat system. Boxy Ice Blue Pond Set: Made from recycled tires, fully finished, white rayon flock, blue epoxy ice, 5 large pieces, 90% recycled material. Our rugged hills are now available in a summer finish. Each set comes with two quality 15mm hills made from recycled tire rubber. The hills come fully finished with Scenic Express Summer Lawn Blend ground cover. Large Rubble Set-Gray: Made from recycled tires, fully finished, over 2 feet laid end to end, well sealed flock. Each set comes with two quality 15mm hills made from recycled tire rubber. The hills come fully finished with Scenic Express Summer Lawn Blend ground cover. Each hill features one singe rock big enough to make the hill more interesting yet flat enough to not get in the way of your figures. Box Defensive Set: Made from Gypsum cement, same color on inside, ink wash finish, clear sealer coating, modular design, battle damaged surface and over three feet of walls! Box Battle Damaged Tank Traps: Made from Gypsum cement, same color on inside, ink wash finish, clear sealer coating, 28mm, 15 teeth and battle damaged surface. Box Fieldstone Wall Set: Made from Gypsum cement, same color on inside, ink wash finish, clear sealer coating, 1" tall, 4" long, 1/2" thick, 8 walls, 32" of walls. Box Battle Damaged Ruin Set: Made from Gypsum cement, same color on inside, ink wash finish, clear sealer coating, 28mm, 5 ruins and battle damaged surface. Super Heat is a revolutionary new trading card game built by skaters for skaters. Super Heat gives the players the feel of a real skate contest! Gamers create their ultimate decks around their favorite professional skater using their best tricks. 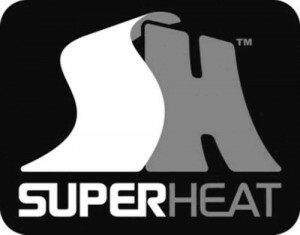 Super Heat features some of the most popular skaters of all time; Chris Cole, Bucky Lasek, Lizard King, Bob Burnquist, Sean Malto, Pierre Luc Gagnon, Christian Hosoi, Mike McGill and more... As an EXTRA BONUS, there are also trading cards of your favorite skaters randomly inserted into Starter Decks and Booster Packs. Complete set consists of 195 Game Cards: 66 Common, 65 Rare, 64 Super Rare and 30 Collector. In 2010, Duelist response was tremendous to Konami's line-up of cards and accessories based on the original Yu-Gi-Oh! animated series. Now Duelists are getting more of what they want! These new high-quality card sleeves celebrate the groundbreaking Battle City storyline, by pairing up Yugi with his first Egyptian God Card: Slifer the Sky Dragon! Battle City remains one of the most popular Yu-Gi-Oh! storylines ever created, so fans old and new will want to grab these Egyptian God Card sleeves while they last. Trail of the Brotherhood is an exiting new board game from EOS press and developed by Richard Launius, the creator of the acclaimed Arkham Horror Board Game. Trail of Brotherhood introduces us to a new world of mystery and terror inspired on the immortal works of HP Lovecraft. It features amazing artwork, and easy to learn, yet difficult to master game mechanics. When the Dark Gods awake, would you be ready to face them? Playing Trail of the Brotherhood, you and your friends take the parts of intrepid investigators, determined to prevent the end of the world at the hands of a new power that has risen in the world a charismatic madman who can unite the multitude of cults into one, then use that power to call the Old Ones at last! The twist? The leader is another player. The players seek to stop one of their own, and the race against time is on! Can they track down the Master before the Call goes out and the Old Ones take the earth as their own and revel in human civilization's ashes? Trail of the Brotherhood is a race against time for the Cultist Player, their goal is to collect the various cults into The Brotherhood, an organization so wide-reaching and profound as to be able to call the Old Ones and end the world at last! The Investigator Players race after the Cultist Player, attempting to stop him by any means necessary from recruiting the cults he needs but of course the Cultist Player can fight back with Spells and Monsters to the bitter end! Beautiful works of art in each of the hundred and fifty cards and gameboard Competitive Play each player plays an investigating team, save for the one who runs the Cults who plays against them, trying to end the world. Suitable as a one-of-a-kind gift to your friends who like Lovecraft or just like beautifully dark games! Nobilis: the Essentials, Volume 1: Field Guide to the Powers introduces you to a world of wonders and horrors touching ever so lightly on the world you know. This book is a sweeping guide to the secrets of the Nobilis and includes a fully-featured diceless roleplaying game for those who wish to live among them. If you've played the Nobilis RPG before, you'll find an exciting and comprehensive update herein. If you haven't, you'll find everything you need to play, as well as enlightening and useful secrets about the truth behind our world. In Creation, everything has power Sometimes, Exalted writers produced quite a bit more than we expected. Over time, little scraps and fragments of materials and rules built up, and they seemed too cool to leave in the oblivion of a computer trash bin. Before we knew it, we had a lot of pieces with no home, and it seemed a shame just to throw the excess material away. So we decided to stitch them together into a crazy quilt of additional game pieces for your Exalted series into The Patchwork Scroll. A collection of Exalted Second Edition material. The Imperfect Lotus contains eight supernatural martial arts styles, ranging from simple Terrestrial styles to powerful Celestial fighting arts Splinters of the Wyld provides new Wyld locations, Mutations, Derangements, creatures and characters Debris of the Fallen Races contains five martial art styles for Dragon Kings, Chaos Pattern Charms, and statistics for subterranean creatures Lost Arts of the Dead contains four new Arcanoi for ghosts. The past, present and future of Earth are colliding as mysterious anomalies open up everywhere. You are part of an elite team of specialists. Your mission – keep prehistoric monsters in check, preserve the timeline, and uncover the secrets behind the Anomalies. You must protect the modern world from savage dinosaurs, primeval monsters and the horrors of the far future, but not everyone's on your side. Who can you trust? Based on the hit TV show, Primeval lets you play as Nick Cutter, Connor, Abby and the rest of the Anomaly Research Centre team, or create your own groups of dinosaur hunters and time travelers. A billion years of danger and adventure awaits on the other side of the Anomalies! In Frozen Twilight takes the heroes from the frozen wastes of Echnidari, through the dark realm of Hadon, beyond it to Zoran space, and finally to a dark world at the edge of the known space where the heroes must face the Machina Prince Telemachus himself. Can the heroes discover the information they need to save the Galaxy while fending off a universe that seems intent on killing them? In Frozen Twilight can be played as a standalone scenario or as part of the Legacy of the First Age campaign. Why settle for the same old taverns, bars, and town? Add some character to your city and make it Evocative! This bundle of nine extraordinary places is sure to bring the adventure into the streets and alleyways with style. Sites include the Bedlam Asylum, Clockwork Tower, the Intimate Shape Brothel, Kavit M. Tor’s Emporium of Collectible Curiosities, Lorn's Entrepot (an abandoned warehouse), the Next Inn, the Rogue's Gallery Tavern, Voell's Garden, plus a funerary vault! Each one comes packed with material, offering multiple maps— several fully detailed complex NPCs with statblocks drawing on multiple Open Gaming Content sources, story seeds and character secrets. Learn what hides within the Voell Garden, or unravel the chronomantic mystery of the Clockwork Tower. Face the madness within the Bedlam Asylum or discover the hidden contraband of Lorn’s Entrepot. Spend some ill-gotten gains in the Intimate Shape Brothel or browse the wide selection of wares at Kavit M. Tor’s Emporium. Rest and recuperate at the Next Inn, or seek out villains in the Rogues’ Gallery Tavern. Whatever you choose to do, make it Evocative! The huge success of the Fighting Fantasy gamebooks spawned, in 1989, a full-blown Roleplaying game based upon the same fantasy world. Originally published as three separate books, this classic game has now been revised, re-written and re-released for a new generation of gamers. Revised rules, brand new material and original illustrations combine to make this a classic RPG for the modern age. The new version of Advanced Fighting Fantasy is perfect for original fans of the game, experienced roleplayers new to Fighting Fantasy and is ideal for those new to roleplaying. Onwards to adventure! From the darkest corners, from the deepest pools and from dungeons thought only to exist in nightmares come the Fighting Fantasy monsters – the downfall of many a brave warrior. Two hundred and fifty of these loathsome creatures from the wild and dangerous worlds of Fighting Fantasy are collected here – some are old adversaries, many you have yet to meet – each of them described in minute detail. An indispensable guide for Fighting Fantasy adventurers! You met the monsters in Out of the Pit – now meet the rest of the Fighting Fantasy world! No adventurer should be without this essential guide. Titan contains everything you need to know, covering the turbulent history of the world, from its creation and early civilizations – through the devastating War of the Wizards – to the present-day wilderness and anarchy where the delicate balance between Good and Chaos could at any moment be overturned... - Detailed descriptions and maps of Titan’s three main continents, Allansia, Kakhabad and Khul. - All the gods and deities…and demons! - The forces – and races – of Good and Evil - Special expanded Heirarchy of the Pit - The underwater kingdoms - The Titan calendar - Fascinating background information on everyday life: taverns and hostelries, food, clothes…even jokes! A mine of invaluable information is contained in this book. Make sure YOU are armed with a copy before you set off on your next Fighting Fantasy adventure! Published in 1986, this classic guide to the world of Fighting Fantasy is the perfect companion to both Out of the Pit and the Advanced Fighting Fantasy Roleplaying game. Full of fascinating detail and interesting facts, this classic book is back for a new era. The Expansionary Era is the ENnie-award winning far future transhuman setting for the Starblazer Adventures role-playing game, set in the strange and distant future of planet Earth. Enter a universe of lost worlds, hyper-advanced technologies, and clashing civilizations – a unique and compelling space opera setting of action and adventure! This all-new edition of the Mindjammer setting has been updated and expanded to be compatible with the Starblazer Adventures Second Edition rules, and features all-new artwork, maps, and content, including: new species; advanced technologies; new – and sentient! – starships; the Mindscape; rules for cultural conflict; starmaps of Commonality Space with world maps and descriptions; an action-packed campaign of four linked adventures; and more! This Bestiary is the first supplement for QUERP - The game of Quick Easy Role Playing. This tome contains nearly 100 monsters and enemies that devious Gamesmasters can use to distract and attack their players. Ranging from low power to extremely dangerous, the QUERP Bestiary provides monsters for every occasion, every environment and every group of characters. If it bites, claws, flies, roars, breathes fire, renders, and tears or eats you one bite… you will find in this book. This is not a stand-alone product. The QUERP Bestiary requires a copy of the QUERP Core Rulebook published by Greywood Publishing. The Vietnam war was the first conflict that saw extensive use of surface-to-air anti-aircraft missiles, and thus became a training ground for the tactics of this new type of battle. This Duel presents this story in the context of two of the main opponents: America’s top fighter-bomber and the NVA’s best anti-aircraft missile. Step from the splendor of the courts of Louis XIV and Charles II to the mud and blood of Sedgemoor, the Boyne, and the battlefields of the War of the League of Augsburg with Duty and Glory, the latest Field of Glory: Renaissance Companion. With historical overviews, artwork, maps, and detailed army lists for the armies of the antagonists of this period, Duty and Glory provides generals with everything they need to wage war in Western Europe in the Age of Reason. VIn 1373, John of Gaunt set off from Calais on a great raid to strike at the heart of France. Driven by the high ideals of chivalry, the raiders left with epic pageantry. However, the reality soon overwhelmed the raiders. Beset on all sides by French ambushes and plagued by disease and starvation, the raiders battled their way through Champagne, east of Paris, into Burgundy, across the Massif Central and finally down into the Dordogne. Unable to attack any major fortifications, John of Gaunt’s men plundered the countryside, raiding towns and villages, weakening the French infrastructure. While the military value of the raid is debatable, the English knights who finally made it home were hailed as heroes. This book charts the course of the raid from beginning to end, studying all the battles and skirmishes the raiders fought along the way in this bloody example of chivalric warfare. This title explores the recruitment, training, and combat experiences of the famous ANZAC infantry in the opening years of World War I. When war broke out in 1914, men rushed to the colors even before their governments had formally offered troops to Britain. The decision to employ the ANZACs in the Dardanelles came as a complete surprise, but the events at the Anzac and Suvla beach-heads quickly revealed the discipline and bravery of the men involved. This book takes a close look at day-to-day life in the trenches of Gallipoli, and explores how the wounded were treated. The experience of Gallipoli had a profound effect on its survivors, and it continues to mark the psyche of the two nations down to the present day. Power-Up the World’s most popular matching game – MEMORY! Challenge yourself to the classic game of Memory with a Super Mario™ twist. Turn over cards and find their match. Pick up an Item Card to add more fun and challenge. The player with the most matches wins! Game includes: 52 Character Cards, 20 Item Cards and Rules. The Civil War 150th Anniversary Edition of Memory Challenge enhances the world’s most popular matching game creating an opportunity for Civil War buffs to engage in battle and relive one of the most significant wars in American history. Players match over 100 picture cards featuring historical portraits and depictions of Civil War leaders, battles, flags, uniforms and weapons. All new Recruitment cards allow players to choose their allegiance to the Union or Confederacy and earn extra points for matching their leaders and battlefield victories. Strategic Maneuver cards give players a military advantage by authorizing them to confiscate matches and peek at more cards. As players match their way to victory, they can learn all about the American Civil War with historical information about the leaders, battles and weapons included in the game. It’s classic Memory game play with an all new strategic, interactive twist. Deep in the heart of Thornwood Forest lies the Stone of Blight, one of the Thunderstones desperately needed for the salvation of the world. With the forces of Doom ravaging the lands, time is growing short. When brought together, the Stones have enough power to cast him out of the world- but every stone must be captured if the heroes hope to succeed! The heroes are now gathered in Wulfburg at the border of the forest, prepared to brave the dangers of the wood and seek out the Thunderstone, but there is a problem: not only is the Stone fiercely guarded by Doom's minions, they are attacking the town. You must break the siege! This expansion to Thunderstone introduces new monsters such as the Raiders and Siege Engines which bring the battle to you! These monsters can destroy cards in the village, kill heroes not yet hired, and even hurt you on turns when you are avoiding the dungeon! Will you survive to claim the Thunderstone? Space Infantry (SI) is a solitaire game of squad-level combat in the future, pitting power-armored soldiers against an assortment of Aliens in a wide variety of missions and landscapes. In Space Infantry you control a team of 4/8 soldiers on a series of missions that can be played individually or as a campaign. Each mission takes about 20 minutes to be completed. SI is a modular game; the overall structure of SI will make possible to easily add new features to the game (missions, enemies, equipment): this means that in the future additional components will add new options to the existing missions, increasing the lifetime of SI. This is a boxed game, featuring mounted mission maps (game boards), die-cut counters, immersive art, and much more. Welcome to Darklands, the book about this most terrible country and the vile beings that rule that blasted scar on the face of Magnamund. This text will definitively list the Darklords in all their ebon glory, with their powers, their provinces, and their legions in detail. By the time you have finished reading this tome of terror, you will know the ways of evil on Magnamund much better than you did before. You will know which Darklord rules in the domain of Nightmares, which one revels in the applications of torture, and what horrors churn to be awakened in the underhalls of Helgedad. To defeat the Darklords and stop the press of evil, great legends will have to arise. Great powers will have to be mastered. More importantly, great heroes must answer the call of battle. Can you be such a champion? Can you resist the lure of evil power and fight for the Light? And ultimately, will you have the courage to venture where the road of heroes must eventually go? A complete guide on founding, growing and running your own world in Traveller, this book enables the creation of sociologically diverse solar systems or even empires. Covering a wide range of aspects involving governments, infrastructure, trade, military defenses and even religion, it also allows the development of these unique polities over time; investments, conflicts and random events driving their growth - or indeed, possible collapse! Whether you are a band of adventurers colonizing or conquering their own planet, or seeking to play out a generational game of developing sector-wide dominions, Dynasty will add depth and color to any Traveller campaign. The backbone behind any successful group of wandering adventurers, the Traveller’s Aid Society stretches across known space, offering a place to stay, food, warmth and safety. However, there are many secrets behind TAS, and this sourcebook uncovers the mysteries behind the society and the resources at its disposal. Included is a guide to the facilities available to members, information shared between TAS sites, and where they can be found. The movers and shakers behind the society are covered, as well as the best ways players can leverage their membership and get the best out of their investment. Monster Island is a companion volume to Monster Coliseum. That book dealt with the arena; this book deals with monsters and creatures of legend in their natural habitat where they are at their most dangerous. Monster Island details the different habitats and locales of this mythical place, but, more importantly, slots a host of new monsters into their specific ecologies and describes their habits and natures. RuneQuest Games Masters can use the creature statistics to populate their own games, or use Monster Island as a part of their campaign - a dread place of foul creatures and restless spirits. All the monsters in Monster Island are new to RuneQuest, drawn from the myths and legends of many cultures and folklore. Some are created especially for this book. World of Warcraft: Twilight of the Dragons is a trading card game with streamlined rules that make the game easier to pick up for new players. It features the Black and Twilight Dragonflights, led by the Master Hero - Deathwing himself! Features new permanent hero powers and the continuing evolution of the new Stash keyword. WoW TCG: Twilight o/t Dragons Epic Col.
World of Warcraft: Twilight of the Dragons Epic Collection is an incredible value for both current and new players. The packaging is redesigned with a new upscale look and the box is made to be used for card storage and guarantees loot in every box! This new box allows for the playmat to be rolled not folded. Now includes 6 packs per Epic Collection and new 6 pack configuration can be used for sealed pack tournaments! This Epic Collection box contains: 1 reusable storage box, card dividers to be used with the box, 1 Twilight of the Dragons playmat, 1 Twilight of the Dragons Deck Box, 6 Twilight of the Dragons Booster Packs, 1 Twilight of the Dragons visual pocket guide, 5 Random Foil Heroes from Twilight of the Dragons, and 1 Common Loot Card! The Nentir Vale — a frontier land sheltered by mountains and strewn with abandoned farmsteads, ruined manors, and broken keeps — is the perfect base for any Dungeons & Dragons campaign. Many heroes begin their adventuring careers here, and some also meet untimely ends. The monsters and villains contained within are appropriate challenges for heroic- and paragon-tier characters and fit easily into any home campaign, as well as other Dungeons & Dragons published campaign settings. In addition to a 128-page book of ready-to-play monsters and villains, this product includes 8 die-cut sheets of card stock monster and villain tokens and a double-sided battle map featuring four different encounter locations you can use when running encounters. This particular set emphasizes swamp terrain and serves as an extension to the Dungeon Tiles Master Set: The Wilderness boxed set. This accessory contains six double-sided sheets of illustrated, die-cut terrain tiles printed on heavy card stock, allowing you to create tactically challenging wilderness terrain. These tiles are appropriate for any D&D® setting and usable with any edition of the Dungeons & Dragons Roleplaying Game. The challenge of Quiddler is to arrange your entire hand into words! Draw and discard in turn, while trying to use those high point letters - but don't get caught with them uncombined! Quiddler is fast paced because you can play using everyday words. A bonus is given for the most words in each round (so short words can help you win), as well as for the longest word. There are 8 rounds in the game. It starts with 3 cards, progresses to 4, and so on, up to 10 cards. Players draw and discard until someone has combined their entire hand into words using two or more cards per word. Once a player goes out, everyone else gets one last chance to draw and put down the words they have made. Quiddler Deluxe includes the Quiddler card game, The Quiddler SHORT Word Dictionary, a score pad and pencil in a unique collectible tin. The fantastic universe of Dixit, winner of the Spiel des Jahres 2010, returns to entrance you once more! With Dixit Odyssey you can continue the adventure in enchanting and dreamlike new worlds. The idea is still the same: the Storyteller chooses a card from his hand and, inspired from the card, speaks. The other players then choose a card from their own hands. All the cards are shuffled and revealed. The players’ objective is to find the Storyteller’s card. Discover 84 new cards drawn in the magical style of Pierô and colored by Marie Cardouat. Dixit Odyssey is a standalone game for up to 12 players and contains, among other things, a new, more practical, scoreboard, voting pads and new “rabbit” tokens. Furthermore, Dixit Odyssey enables you to store all the cards from Dixit and Dixit 2 in one place. Very practical for taking the game wherever you go! With Dixit Odyssey, discover or rediscover Dixit! It's a whole new universe to explore!